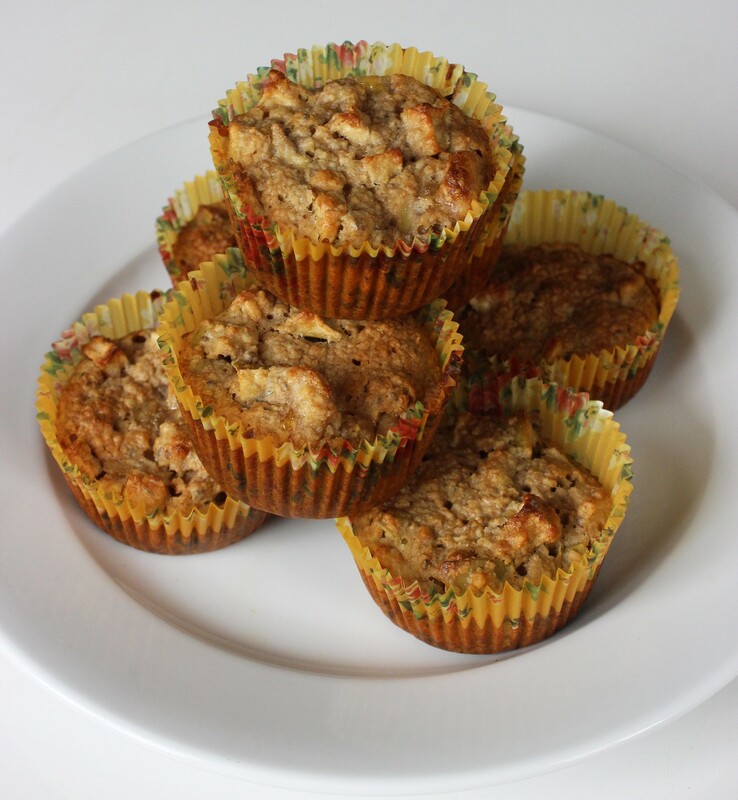 Matthew & Michele show how to make supermodel Miranda Kerr’s special recipe for organic, gluten-free muffins with apples, bananas, honey and more healthy ingredients in this short video. Not only are they made without any refined sugars, but they’re also dense and full of fiber, which means a little goes a long way! Each little muffin is just 140 calories. In a food processor, grind the oats into a flour-like consistency. Add the walnuts and grind. In a large mixing bowl, combine the ground oats and walnuts, baking powder, baking soda, and chia seeds. In a separate small bowl, lightly beat the eggs and egg white. Mix in the yogurt and apple juice. In a small pot, mix the coconut oil, cinnamon, vanilla, and honey over low heat until it becomes syrupy, and combine with egg mixture. Heat the oven to 350°F. Line a muffin pan with paper liners or lightly grease your muffin tins, and fill until three-fourths full. Bake for 40 minutes or until a toothpick is inserted in the center of the muffin and comes out clean. Allow the muffins to cool for 15 minutes, then sprinkle with cinnamon before serving.